List Rules Vote up the spookiest recordings from beyond the grave. Most paranormal investigators will tell you that seeing a ghost is unlikely, but hearing a ghost is an entirely different story. 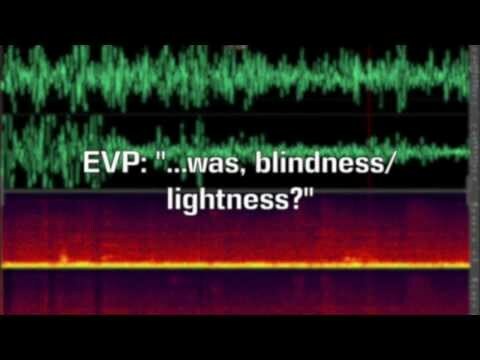 EVPs (or electronic voice phenomena) are the sounds found on electronic recordings after either a one-sided question and answer session with a ghost, or after an audio device is left rolling in a haunted place undisturbed. There’s not an actual technical answer as to why ghosts prefer to use white noise and electronic frequencies to communicate, but for whatever reason, they love leaving messages on recording devices when you least expect them to. The scary audio captured on these EVPs might prove that there’s life after death, even if it’s just on the airwaves. When you’re ghost hunting, one of the most important tools that you need to have with you is a field recorder - not only to document your case history, but because you never know when you’re going to pick up some stray EVPs. Spooky sounds can come from anywhere, but if you’re in an area that’s known to have a lot of paranormal activity, you’ll probably pick up plenty of conversations. That being said, if you end up in a question and answer situation with an entity from the beyond you should be careful - you never know if the thing you’re talking to is actually what they say they are. With that being said, it’s time to check out some of the most terrifying EVPs every recorded. During a 2011 investigation of The Cafe Sport in Swinton, Greater Manchest, Project Reveal recorded an EVP that sounded like it was beckoning them to come down to the basement. That's already creepy enough, but according to their group skeptic, he was standing next to the recorder and didn't hear anything while they were recording. Pasadena, California's Colorado Street Bridge is also affectionately known as the "Suicide Bridge," thanks to the hundreds of people who have killed themselves by jumping off over the years. It's also a hotspot for paranormal activity. While Mace Ravenwolf and his friend were investigating the bridge in 2014, they ran across something much creepier than what they were expecting. As you may have guessed from the title, Carol Anne is a haunted doll who speaks to people via EVP. The gang at Live Scifi decided to have a chat with her- and if you haven't already guessed that things get weird immediately with this doll, then now is your warning. Also, this video is NSFW, so put those headphones on. 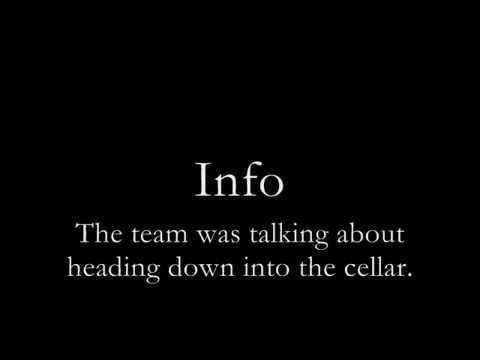 While conducting an EVP session in the attic of a home in McKinney, TX, a local group of paranormal investigators recorded the voices of 11 various spirits. The spookiest sounds on the recording come from what sounds like a lost girl calling for her mother.